Punch Club is a really good game that’s available on Steam and iOS and I’ve been playing it a lot for the past few days and loving it. 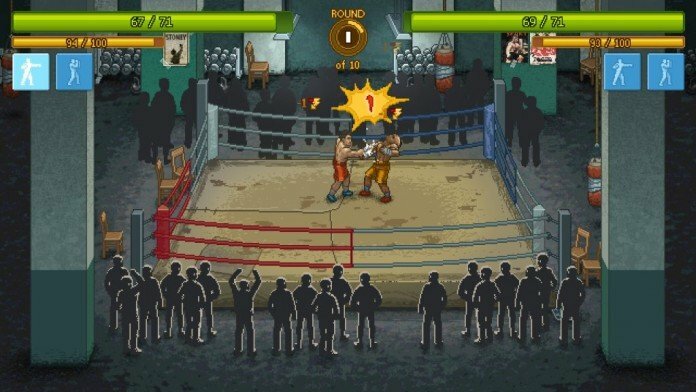 It is extremely complex and challenging and this is the reason why I decided to come and share with you some Punch Club cheats and tips – a complete strategy guide to beat the game. Have in mind that there are multiple approaches and you can try your own (basically the different Bear/Tiger/Turtle approach), but some of the tips and tricks you’ll see below will actually help you beat the game no matter what path you choose, so I’d say that it’s worth checking them out! So let’s not waste any time and let’s read below some Punch Club tips & tricks! Food is extremely important throughout the game, but vital early on. Focus on spending your money on food and nothing but food early on. The meat has good value (40 points per $20), but I would actually recommend the pizza (17 points for $9) since they restore more health. Make sure to always have food, because running out of it early on in the game might result in game over. Later on, a visit to Roy will help, but if you manage things right you should never have problem with the amount of food you have. Sign up for the tournament as soon as possible. You will lose your games, but still get skill points and unlock abilities. Farm those skill points as much as possible and get the abilities to become a better fighter. You will soon start winning matches and, following a snowball effect, you will quickly get better. Stats are annoying as they go down each day and the higher their value, the quicker they drop. I believe that, in this case, it’s best to focus on just a couple and do all your training in the Gym because it’s the most efficient way to approach things. Learn what stats each piece of equipment increases and focus on them. Alternately, you can go for the “Memory” skills which increase the minimum value of your stats to 4. In other words, your stats won’t drop to 1 anymore, but to 4. If you’re going for the Agility / Tiger build, you could get the Muscle Memory skill and focus on training Agility and Stamina. Each time you first meet Silver, he will ask if you want to spar. Do not do it, as this will always cost you health and give you nothing in return. Each day you can train with Silver once: you can pay $15 for “Hand pads training” or $20 for “Sparring Fight”. You get 3 points if you Spar with Silver and win, but just one if you lose. It’s safer to go for the first which guarantees you 2 skill points. Also, make sure that you max out your stats before leaving the gym in order to make sure that you are not wasting money and time. When it comes to attacking in fights, the game randomly chooses if you attack or not. If you do, it randomly chooses a skill to use, which means that you should only have one or at most two active attack skills to use in fights. 8. How to unlock Ultimate fights? After winning two rookie matches, go to the gym and talk to the dude there. He will introduce you to Ultimate Fighting, the real way to make some nice money quickly. The first playthrough is a learning experience and you’ll get better during the second playthrough. Learn from your mistakes, remember how are things affected and affecting you in the game and use that to your own advantage next time you play. Finishing the game in under 100 days is possible, so you can really speed through the game playthrough after playthrough. Do you have other tips and tricks to share with fellow Punch Club players? Let us know by commenting below!